Experience the beauty of the Rocky Mountains and amazing theater created in four different communities. Pairing drama and dramatic scenery, four theater companies in Pagosa Springs, Creede, Silverthorne and Grand Lake form a collection of performing-arts venues that should not be missed. Each offers a robust lineup of shows during the summer in addition to year-round programming, and all four destinations boast their own unique character and attractions in any season. Starting in south-central Colorado and working your way north, here’s your ticket to a thespian tour. Home to the world’s deepest geothermal hot springs, Pagosa Springs is an outdoor playground surrounded by the San Juan Mountains. But it’s also a backdrop to the creativity showcased by the Pagosa Springs Center for the Arts and its resident theater company. 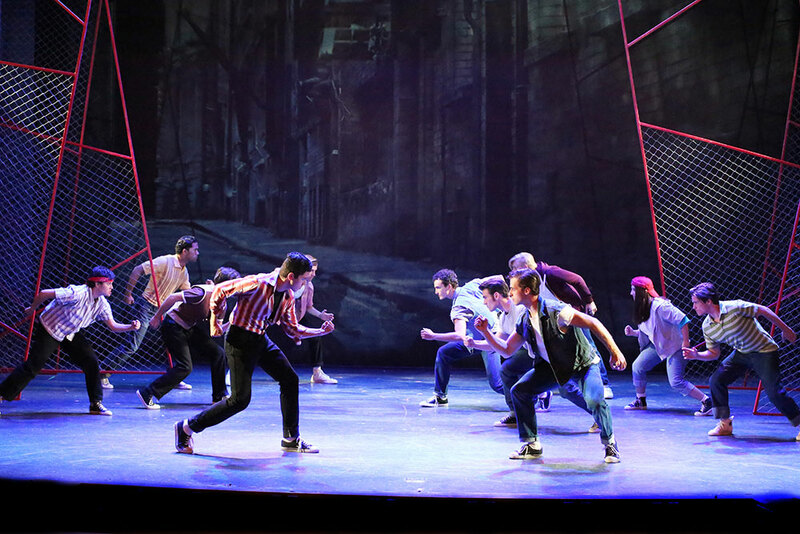 Thingamajig presents musicals, comedies, dramas and new works year-round, but the Broadway in the Mountains Summer Season is a must-see. A celebration of singer/songwriter Johnny Cash, “Ring of Fire” (May 17–Sept. 15, 2019) is just one of the captivating highlights. Look for “Mamma Mia!” (May 31–Sept. 1, 2019), told through the magic of Swedish pop group ABBA’s music, and “Alice in Wonderland Jr.” (July 5–Aug. 24, 2019). This family-friendly adventure down the rabbit hole is performed by the ThingamaWHOs, a mix of local teens and professionals from the company. 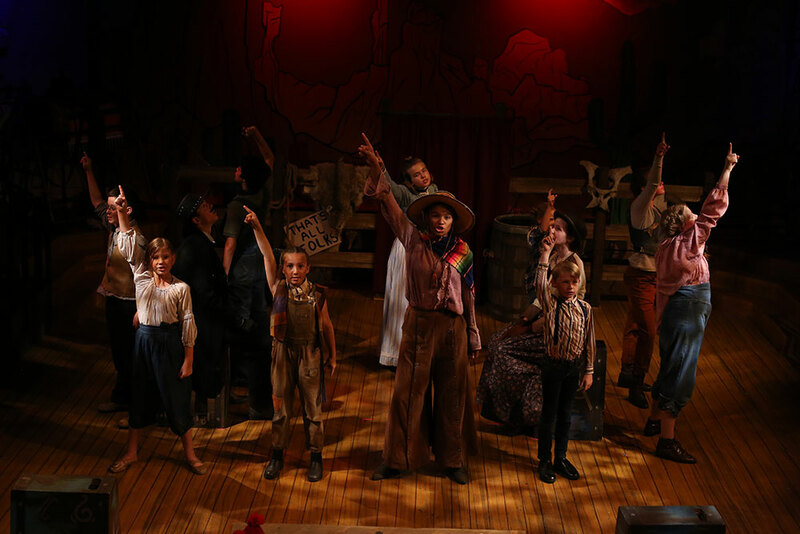 Thingamajig likewise offers classes for kids in the summer and winter where they can learn about everything from acting to costuming and lighting. Off-stage, Pagosa is ideal for recreational pursuits like fishing, hunting, tubing on the San Juan River and hiking — some favorite local trails include Treasure Falls, Opal Lake and Piedra Falls. Proximity to Chimney Rock National Monument affords a look into the past in the form of Ancestral Puebloan dwellings and ruins. 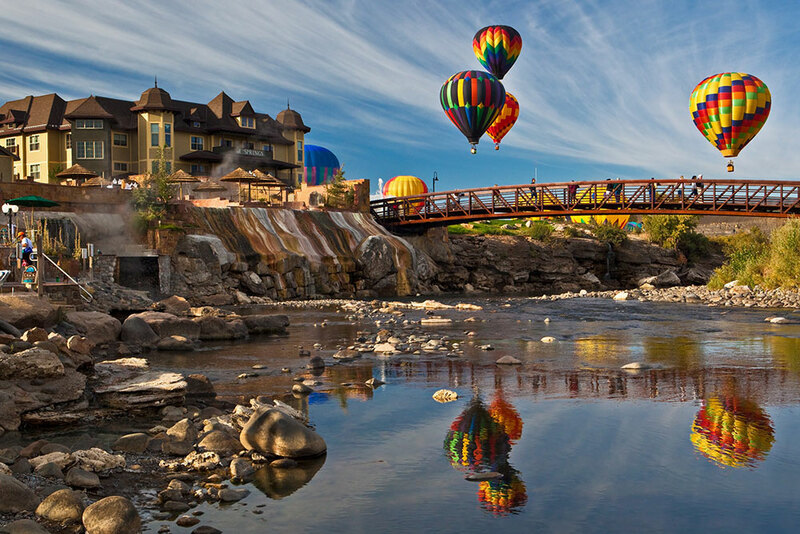 Hot-air-balloon extravaganza Colorfest Weekend (Sept. 20–22, 2019) and the Four Corners Folk Festival (Aug. 30–Sept. 1, 2019) are two of the countless events that delight annually, so check the calendar before making plans. This former silver-mining boom town sets the stage for entertainment that’s been wowing audiences since 1966. Upholding a motto of “Your Theatre, Always,” the award-winning Creede Repertory Theatre commits to big-city-caliber productions during its season from May through September. Each year, the CRT puts on seven to 10 plays in rotation and hosts numerous musical events and concerts. “Peter and the Starcatcher” (May 31–Aug. 25, 2019) starts off the 2019 by diving into the magical world of Peter Pan with a cast of 12 actors portraying more than 100 characters. A sci-fi musical based on the 1960 movie about a blood-thirsty plant, “Little Shop of Horrors” (June 28–Aug. 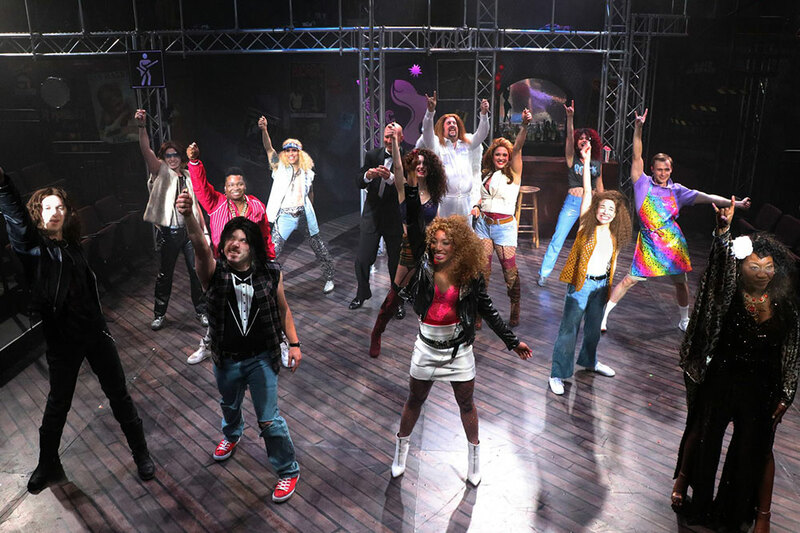 24, 2019) is an outrageous classic that first made its Off-Broadway debut in 1982. And Jane Austen’s English-literature staple gets a farcical adaptation in “Pride and Prejudice” (July 26–Sept. 14, 2019). Plus, Creede Rep is proud to use its Headwaters New Play Program, a weeklong workshop in which selected scripts receive public readings, to develop new works. 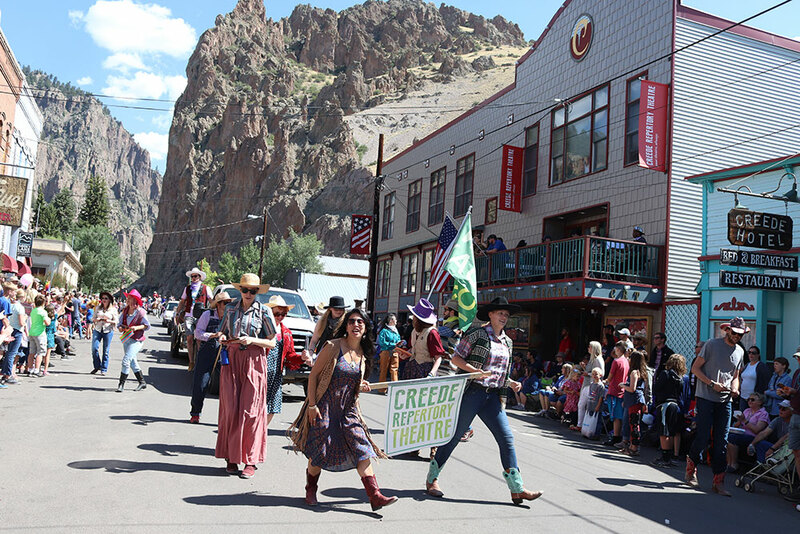 In town, a plethora of events — think May’s Taste of Creede, the Donkey Dash and Gravity Derby in June and the Creede Chocolate Festival in November — are big draws. Dig into Creede’s roots by driving the 17-mile Bachelor Loop Historic Tour through a historic mining district above the enclave to see abandoned ghost towns. Fall is an especially scenic time when the brilliant colors of changing foliage surround Creede. It may be hard to pull yourself away from the outdoor splendor around Silverthorne, but the Lake Dillon Theatre Co. ensures it will be worth your time. What started as a free summer concert series has grown to include a chamber concert series, education programs and a professional theater company. And while it wasn’t always based out of the 14,000-square-foot Silverthorne Performing Arts Center, the LDTC is celebrating its 25th anniversary in 2019. For the main 2019 season, theatergoers will be treated to “Tell Me on a Sunday” (June 1–23, 2019), a classic from Andrew Lloyd Webber and Don Black that follows a young English girl arriving in New York. A hilarious comedy about newlyweds, “Barefoot in the Park” (Aug. 30–Sept. 22, 2019) will have a run, as well as “Every Brilliant Thing” (Aug. 15–Sept. 15, 2019), which tells the story of a son and his mother — who has chronic depression — with both humor and empathy. Additionally, the company hosts a cabaret series, family series and special events. The Blue River running through town and Lake Dillon abutting its south end allows Silverthorne to be a launch point for stand-up paddleboarding, whitewater rafting, fishing and other aquatic adventures. It’s also located near five major ski resorts — providing a plethora of wintertime options. 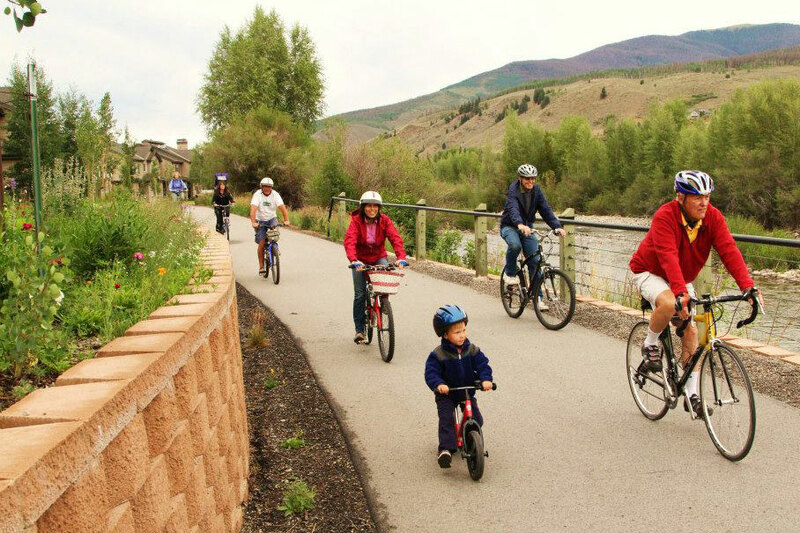 Spend an afternoon strolling or biking the Blue River Trail, then indulge in some shopping at the Outlets at Silverthorne. 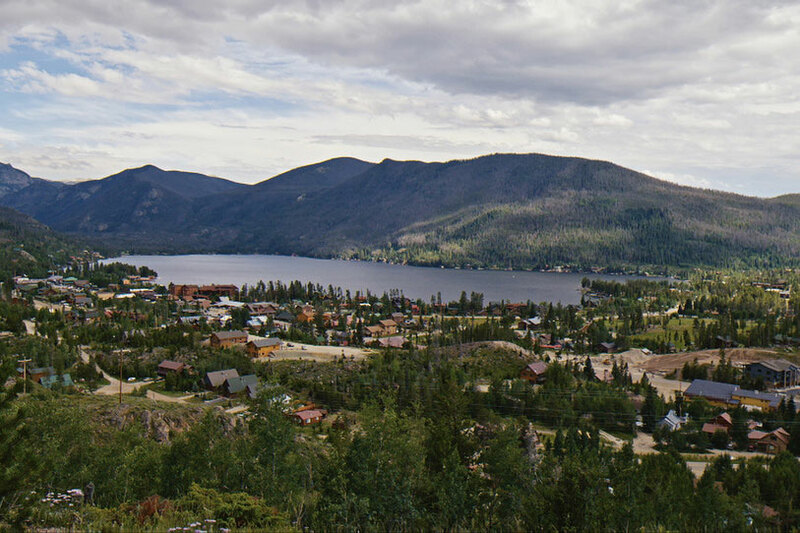 Named for the largest natural lake in the state, Grand Lake sits at an elevation of more than 8,000 feet — making “Theatre with Altitude” an appropriate way to describe the Rocky Mountain Repertory Theatre. Comprised of actors, musicians and technicians from across the country, RMRT brings outstanding professional performances to the Rockies. Theater lovers can get to know the company during regularly scheduled events, but things really heat up during the summer season. Don’t miss as a disco diva goes into witness protection disguised as a nun at a convent in “Sister Act” (June 7–Aug. 24, 2019). A musical thriller, “Sweeney Todd: The Demon Barber of Fleet Street” (June 28–Aug. 23, 2019) follows an exiled barber that takes revenge in 19th-century London. There’s also “Always…Patsy Cline” (Aug. 30–Sept. 28, 2019), a story of the friendship between country singer Patsy Cline and her biggest fan, Louise Seger. After the cast takes its bows, hit Grand Lake’s historic boardwalk to peruse an array of shops and galleries, or indulge in a treat from one of the town’s ice-cream parlors and sweet shops. Serving as the “western gateway” to Rocky Mountain National Park, one of the state’s crown jewels, Grand Lake’s location is prime for camping, wildlife viewing, backpacking and, of course, water activities like sailing, splashing at the sandy beach and fishing. Purchase tickets for Thingamajig, Creede Rep, Lake Dillon Theatre Co. and Rocky Mountain Rep.